Your Enquiry about 12 & 24 Fibre Lite Trunk, 12f MTP Elite Male - Male is Successfully Submitted. 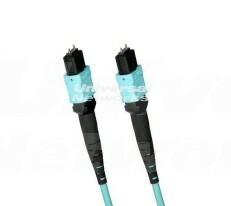 Lite Trunk 12 & 24 Fibre LSZH OM3 Multi Mode Mini Trunk Cable with 12-fibre MTP® Elite Female - Male connectors for extending MTP Trunk cables. Recommended for ≤10m; for above please consider the Tuff Trunk option. If you are unsure which Polarity Method you require, please call us.